Sea turtles, dolphins, and whales…oh my! With so many animals to see, our boat tours in Dominical and Uvita get you up close and personal with Costa Rica´s renowned marine life! Ready for an unforgettable vacation in Costa Rica? Read on! The whale watching season in Costa Rica is one of the longest in the world, which means our whale watching tours in Marino Ballena National Park are one of the top activities in Uvita and Dominical. There is no better way to witness these majestic creatures than out in the waters from Marino Ballena all the way south to the Osa Peninsula and Drake's Bay. 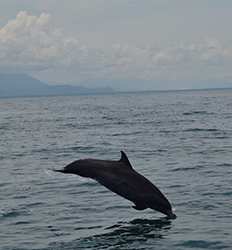 Known for their playful demeanor, don´t be surprised to see pods of dolphins frolicking alongside your boat, too! 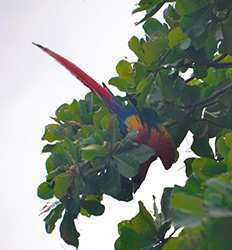 If you are a nature enthusiast, a boat tour to Corcovado National Park is a must do activity in Costa Rica. Departing Uvita, we will traverse the shoreline taking in the natural caves, viewing the dense and barely explored rainforest of Costa Rica´s south pacific which is home to 5% of the world´s biodiversity....incredible!! And let´s not forget the protected marine preserve of Caño Island which boasts the best snorkeling in Costa Rica. 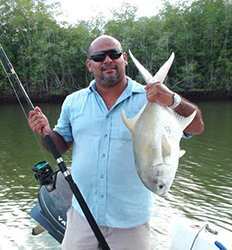 Oh, and did we mention how incredible the sport fishing from Uvita? 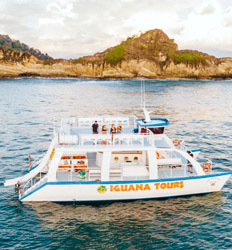 Finally, if nature is not your thing, or your idea of the perfect boat tour in Costa Rica involves cocktails and sunset, be sure to check out our Catamaran tour in Manuel Antonio. Relax, kick back with a cocktail or 2, look for dolphins and snorkel with a variety of tropical fish...does it get any better than this? There is no better way to discover the diversity of the South Pacific beach towns of Domincal and Uvita than a boat tour in Costa Rica. 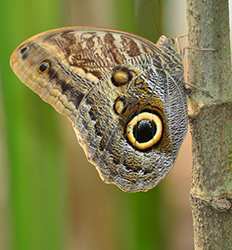 Domincal and Uvita boat tours offer something for everyone and The Real Deal Tours offers the best boat tours in Dominical at the best deals in Costa Rica. So what are you waiting for? Take a look at the Uvita boat tours we have listed below and choose your Costa Rica adventure today!